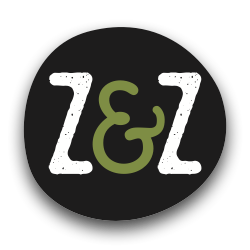 Z&Z x Toli Moli Bodega — Z&Z – Za'atar – Eat. Good. Za'atar. Former pop-up kitchen Toli Moli is building upon its success within Union Market by introducing a bodega featuring South Asian spices and snacks — as well as space for other roaming restaurants. The new Toli Moli Burmese Bodega, tentatively scheduled to debut Saturday, November 25, plans to carry rare ingredients from south Asia as well as essentials like tampons and aspirin. Co-owners Simone Jacbosen, Jocelyn Law-Yone, and Eric Wang also plan to support local producers such as Misfit Juice and Z&Z Za’atar. The eclectic shop also doubles as a second kitchen, preparing $4 to $15 dishes such as Burma Toast (bread topped with a fried egg and house-made chutney), as well as sandwiches like chicken tandoori or Chinese sausage-egg creations tucked inside bread from Lyon Bakery. Toli Moli’s famous falooda, the milky dessert drink that put its year-and-a half Union Market outpost on the map, remains in the mix. Alison Beshai of Formfunction Studio designed the space with colorful Burmese markets in mind. Fellow pop-ups set to serve food inside the new retail stall include Sri Lanken-themed Short Eats(Saturday, December 9) and Tibetan dumpling maker Dorjee Momo (Saturday, December 30). Status: Scheduled to open Saturday, November 25. 1309 Fifth Street NE; website.